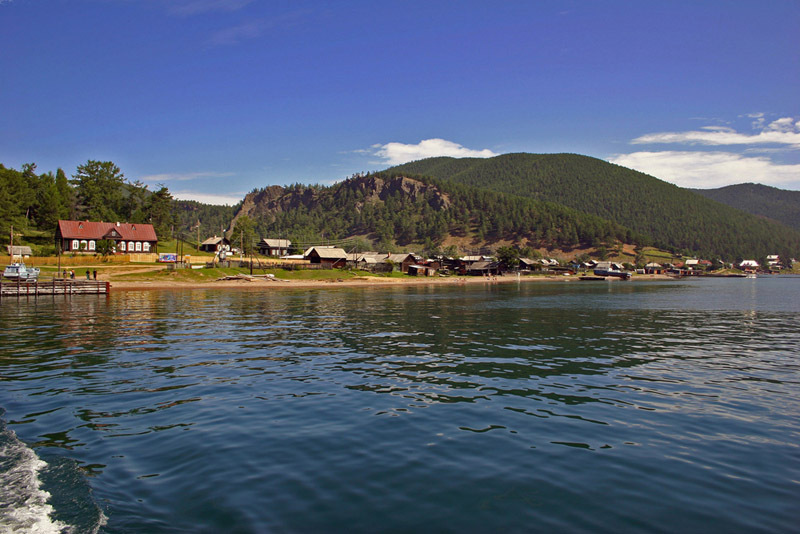 Bolshie Koty village was founded in the second half of the 19th century as a gold extracting area. For about hundred years the gold was cradled, later dredged in the bed of Koty and Sennaya rivers. The rusting drag can still be seen 1.5 km up river from Baikal. That time the settlement had own bakery, saw-mil, small glass-works. Nowadays this tiny, picturesque village is home to less than 70 people, mostly retired, living from agriculture and fishing. 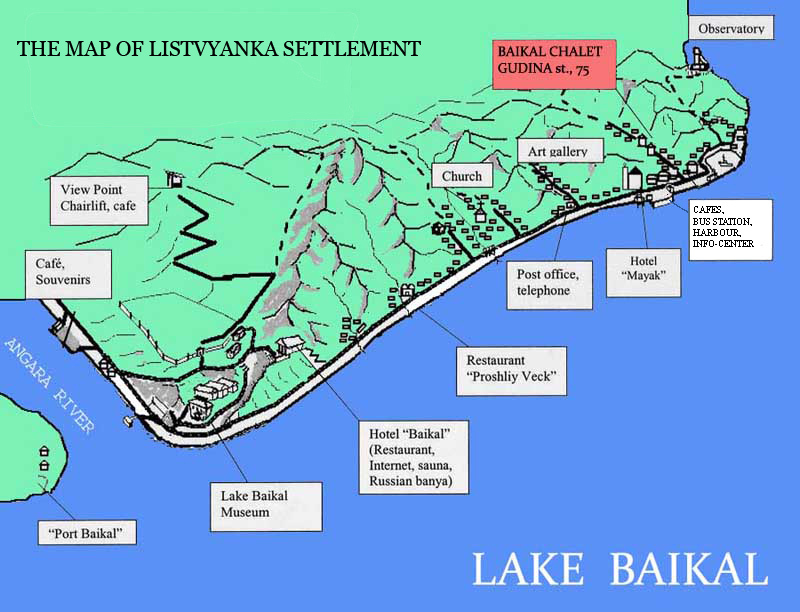 Food, products and materials are brought by boats from Irkutsk or Listvyanka. 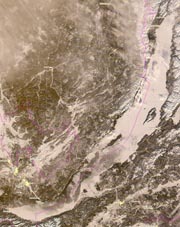 Irkutsk State University and Limnological Institute research stations are located there. Scientists and students have their studies and practical work done in Bolshie Koty in summer time. There are also quite a few holiday houses of university teachers and professors in the village. 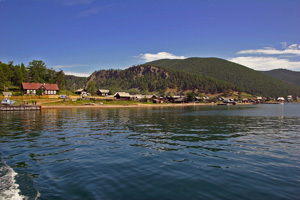 In summer place is getting busier with tourists, having a day boat trip or camping around. 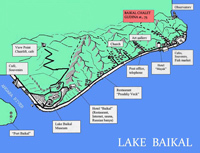 There is no automobile road to Bolshie Koty, and one can get there only by feet or by water transport. The trail is a beautiful 20 km hike along the shore, slightly going up and down. Surrounded by woody hills and picturesque cliffs this solitude place has its own life rhythm measured not by hours and days but with the sunshine and seasons. Crime free and healthy microclimate, Bolshie Koty is ideal against stress, for getting in shape and having rest from the city noise and traffic. Quitness and the natural beauty of the area will charm you and leave the peace of mind and unity filling deep in your sole.